Taylor & Stirling is located in Sturt St in Ballarat. Taylor and Stirling is a company with a reputation of being leaders in service, style and quality. We pride ourselves in our service and using quality Australian made products and we manufacture the vast majority of our products locally either in Ballarat. So if you need Ballan blinds give us ring or drop an email and we can come and do a free measure and quote. We have a range of security doors solutions to suite different budgets from Australian Standard approved to a Security door or window or just plain fly screen solutions. We can bring a number samples direct to your home for your to consider what works for you and your home. We have a special collection of motorised blinds at Taylor and Stirling Blinds and Curtains for additional convenience. Our customized motorised blinds have durable electrical systems installed in them, either 240v or 12v. These sophisticated blinds are exceptionally functional for all kinds of homes. You can use them with a remote control, smart phone or integration to home automation systems. 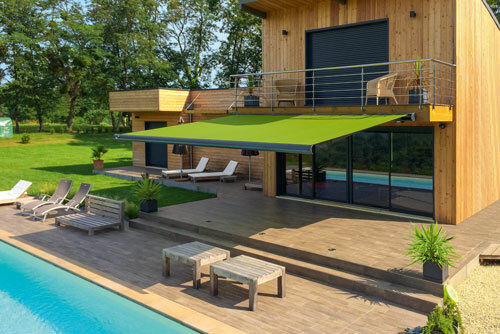 Motorisation can be included in all sorts of blinds such as roman blinds, roller blinds, automatic awnings, internal sunscreens, and Alfresco blinds. Motorised blinds are child friendly and elderly-friendly too because they don’t need manual operation with cords or chains.